It's not about you in client feedback. So choose your questions carefully! Insightful piece about questioning technique when it comes to client feedback. Funny how the typical question - what could we do differently? assumes so much knowledge about us on the client's behalf and doesn't really put the focus on them either! At best, argues PM Forum 2015 Masterclass speaker Jerry Angrave, it seems an unfair question to ask customers to comment on things they are not familiar with. At worst, clients will try and second guess or make assumptions of their own. Responses might give a sense of direction and indeed, some qualitative context is better than a void, but either way there are other questions that will produce better results. 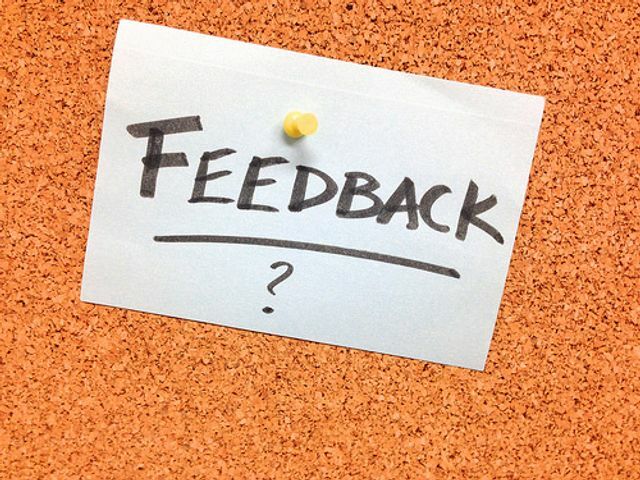 Organisations have an insatiable appetite for customer feedback and with good reason. Asking effective open questions, however, is easier said than done. Customers are being asked several times a day what they think and with our customer hat on we all know what that feels like. It’s therefore commercially vital that the questions we ask in those surveys make it easy for customers. And yet one of the most popular questions used today is also one of the most difficult to answer. “What’s the one thing we could do differently?” It’s a little ironic therefore that at the very time when we’re trying to find out about our customers, this question is all about us.